On Sunday, March 19th, Master Meyer presented a seminar on the kama. The kama is a weapon that started out as a farming implement in Asia. It was used to cut crops like rice and is similar to a sickle. Master Meyer explained that samurai would prey upon local farmers, so the farmers needed to figure out a way to defend themselves. Since metal was very expensive, the farmers could not afford to make weapons, so they had to turn to the tools they had at hand. Some of these tools included the bo staff, tonfa, and the kama. Master Meyer then went on to show how these farming implements were used as weapons to defend oneself. then the seminar participants learned a form which incorporated these defenses. Everyone walked away with a new found respect for these ancient weapons. 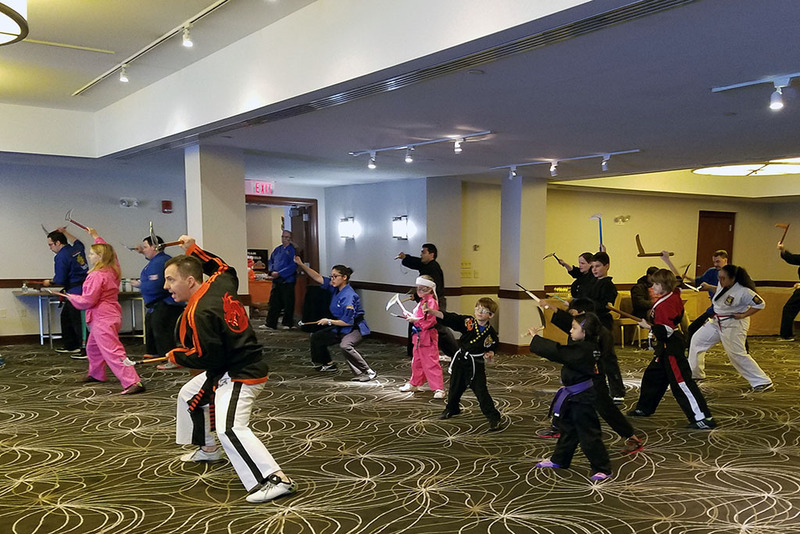 Please check out the photos below of some of the seminar participants in action.